Many a brand has no specialization when it comes to mattress types. Notable exceptions are the companies that produce air mattresses or other kinds of bladder mattresses, and that’s because those mattresses are only called “mattresses” because they behave like ones. Technically, they are nothing of the sort. But when it comes to mattresses proper, you can’t see a brand with a clear specialization very often. Well, guess what? Novaform is one of them, and their products can be found on Amazon.com. This company produces memory foam mattresses (as well as toppers and pillows). And that’s that. 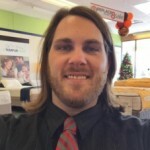 So if memory foam is your choice, read these Novaform mattress reviews. You won’t regret it. The design this mattress is constructed with is not unique but it is not widespread either. The combination of three foam layers is, on the other hand, rather typical. We’ve got an ultra-soft layer of memory foam, a layer of Air Channel foam, which has an uneven surface, and the base layer of basic foam. It’s the middle layer I was talking about. The height of the two top layers is three inches each. The bottom layer, naturally, is 6 inches thick. A good, firm base. But despite the fact the base if firm, the mattress is very soft generally. Most memory foam mattresses are rather firm, they just conform to your body very well and become a little bit softer after exposure to heat and pressure, but this particular mattress is soft to begin with. That might make it extra comfortable but it’s also bad for people with some types of back pain. Despite its softness, this memory foam is just as able to conform to the body as any other. In fact, if I were to compare, I would give it the first place among memory foams, or one of the first places at the very least. The mattress has a plush surface, so it’s quite nice to the touch. Oh, and by the way, the foam itself is hypoallergenic. If you want to get this mattress for yourself, proceed to Amazon.com and make your order. This memory foam mattress provides a luxurious feel when you lie upon it. The mattress, just like the previous one, is a three-layered mattress. But its structure is quite different otherwise. The first layer is constructed with gel-infused memory foam. 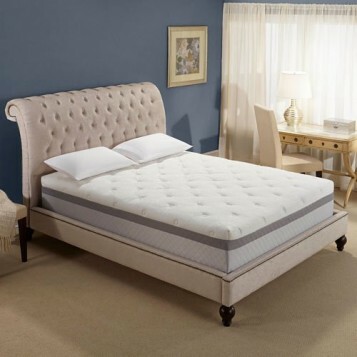 Just like in the previous mattress Air Channel foam is used for cooling the mattress, the gel memory foam is great for achieving an equal result. The gel-infused memory foam is the only big difference between the two mattresses. Well, that and the order of the layer. 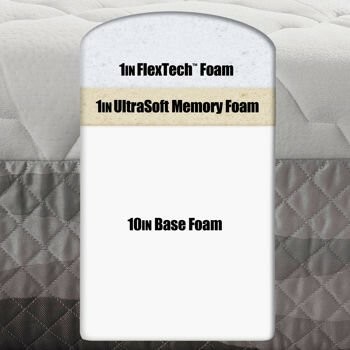 For instance, the ultra-soft memory foam is used as the middle layer. And it’s a bit thinner, two inches in total. By the way, the top layer is 3 inches thick. And the height of the bottom layer made of high-density foam is nine inches. Perfect for support! You won’t have to flip or rotate the mattress, ever. 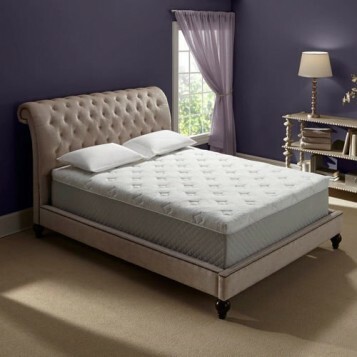 The mattress does not conform to the body just as good as the previous one but it is firmer. All in all, it decreases the possibility of overheating during your sleep even more. The mattress is expensive, of course, but premium foam and cover are worth the price. Do not hesitate and order this Primafina mattress on Amazon.com right now. This is the most luxurious Novaform mattress available on Amazon.com. This is not a mattress you’d want to buy just because you have a back pain. Or because you want to sleep well. There are many mattresses that can help you with that and they are much cheaper. Actually, the other mattresses in this top are expensive as well. But this one is the most expensive and the most luxurious of them all. Of course, the price makes no luxury. But luxury makes the price. And exactly is this mattress luxurious? That’s an easy question to answer. This mattress’s got all four types of foam the other two have, ultra-soft memory foam on top, gel-infused memory foam second, Air Channel first and high-density base foam for even more support. And that’s just the beginning. The sides are reinforced additionally, much like some innerspring mattresses with pocketed coils. The extra edge support preventы rolling off the bed. And you can sit on the edge, too, without it going all the way down. That’s not too big of an advantage but when luxury is concerned, every little bit counts. The luxurious four- stretch matelassé is a perfect partner to any memory foam. When the foam takes the contours of the body, the quilt goes down and stretches with it. The mattress is very soft, although not quite as soft as the mattress I gave the 5th place to. Be advised, while it really is luxurious, it might be ill-suited for some people who suffer from back problems. If you want to get a beautiful mattress like this, all you have to do is to follow this link and make your order on Amazon.com. This mattress is cheaper than the previous two, although still a tad more expensive compared to the first one. Not that the difference is that significant. It’s just that it’s there. I wouldn’t say that this mattress is necessarily better than the other one, but it’s still better if consider both the quality and the price. Although this mattress is not as much as expensive as the one I’ve just done a review one, it still can be considered luxurious. The Rhythm mattress’s main quality is that it is capable of reacting not just to the body temperature and heat, but also to every its move. The very first layer is made of gel-infused memory foam. It’s just two inches thick, but it does its job very well, soaking up the heat from your body and distributing it for keeping your body cool. The next layer is comprised of DuraTex foam. That’s the foam which reacts to your movement. Memory foam, in this case, is just an added extra. The mattress would still be a good one even without a scrap of memory foam. That said, it does have memory foam and possesses the same qualities as some of the mattresses above. If you want to buy this mattress, all you have to do is to order it on Amazon.com. I’d recommend you to do it right now. And the first place goes to this mattress. Incidentally, this is the cheapest mattress among all I’ve considered today. Frankly, its price is part of why I gave it the first place. I’m not sure where I’d put it had it cost several thousand, perhaps, in the third place, but as it is, it’s worth to be the number one mattress by Novaform. Why? Well, it may not qualify as luxurious, but it’s still very similar to the other mattresses. It also has a unique FlexTech technology. What does it do? Well, it provides firm supple support. It prevents sleeping in the mattress. And, frankly, that’s exactly what usually happens to people who own memory foam mattresses. That’s actually part of the reason why hot sleeping is so much of an issue. The memory foam in this mattress is very thin. 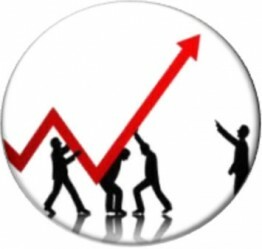 Its main purpose is to reduce your pressure points. The mattress itself is perfect for most people who suffer from back problems. It is very firm. Of course, that very same trait might turn out uncomfortable for side-sleepers, but it’s always hard to have it both ways. And let’s not forget about the unique design. It’s rather extravagant and good looking. If you want to get a beautifully crafted mattress a little over a thousand, don’t hesitate and buy it on Amazon.com. Novaform mattresses are, as a rule, rather expensive. As a rule. Not necessarily. Sometimes, it’s possible to get a mattress for a little over a thousand. Sometimes, it’s even possible to get a mattress for about $600. Although, truth to be told, those mattresses are not any better than less expensive mattresses of other brands. One thing you need to remember when buying a mattress of this brand, they all come with memory foam. However, the memory foam Novafrom uses is hypoallergenic, for more classy mattresses anyway. Keep that in mind and choose wisely. Next What is the best camping mattress?